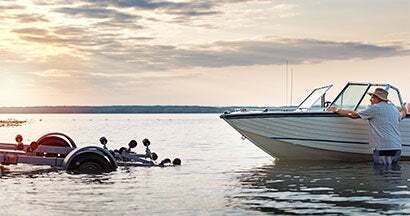 Whether you’re haulin’ horses or tuggin’ boats, navigating with a trailer isn’t as easy as it may sound. Even if you are the Tri-State area’s reigning Most Cautious Driver Award winner. Accidents are unexpected and avoiding them can be more difficult when you have something hitched behind you. Finding top coverage for your trailer is a trip no driver should go alone. Our independent agents will be there to guide you through a handpicked selection of options to make sure you and whatever you’re pulling are properly protected. Nope. Trailer insurance is not required by law. But, in many cases, your auto policy will extend to your trailer. However, it will typically only apply to liability coverage. If it doesn’t, or if the trailer’s contents are critical to you or your business, a more substantial insurance policy would definitely be a good investment. What Does Trailer Liability Insurance Cover? Trailers can cause some pretty serious property damage and injuries. Misjudging turns, colliding with objects. and clipping other cars are all too common trailer mishaps. Liability coverage: You can increase the liability limits beyond the coverage under your auto policy to help cover medical damage, legal fees, property damage, etc. Comprehensive coverage: This is designed to help you with repairs if your trailer is damaged by theft, vandalism, fire or severe weather. Collision coverage: Ready to lend a helping hand with repairs if your trailer gets damaged in a traffic accident. Contents coverage: If you’re using a trailer to transport personal items, or for business, you may want to tack this on in case of damage. How Much Does Trailer Insurance Cost? 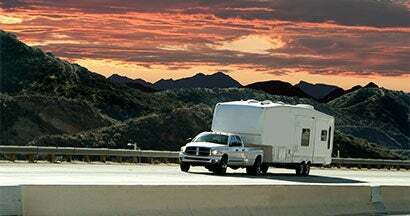 The cost of your trailer insurance will be based on coverage and a number of other things like location and its total value. With most lower-cost trailers, you can typically add coverage to your homeowners, renters or auto insurance policies, sometimes at no additional cost. But if you’re hauling a horse trailer with sleeper space, you’re gonna want a separate policy. One that’s filled with collision and comprehensive coverage. Keeping your insurance policies together is always a good idea. First off, it makes filing a claim easier when you only have to go through one agency. Second, you can get yourself a nice little discount by bundling your trailer and your home or renters, auto, and umbrella policies together. Our agents will review your needs and help you evaluate the trailer coverage that makes the most sense. They’ll also compare insurance policies and quotes from multiple carriers to make sure you have the right protection in place. Why Go with an Independent Agent? 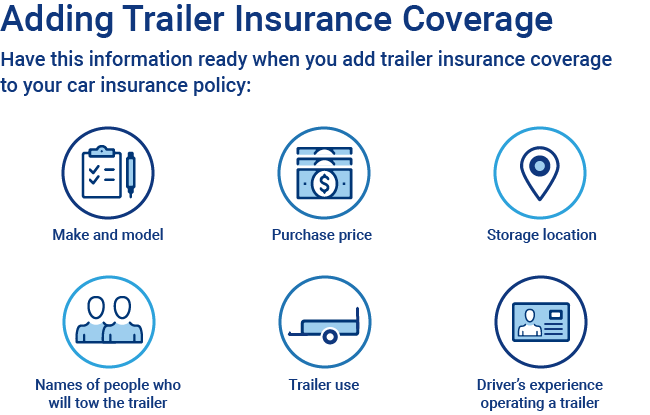 Independent agents will walk you through a handpicked selection of policies from all the top trailer insurance carriers. Not only that, they’ll cut the jargon and clarify the fine print, so you know exactly what you’re getting.